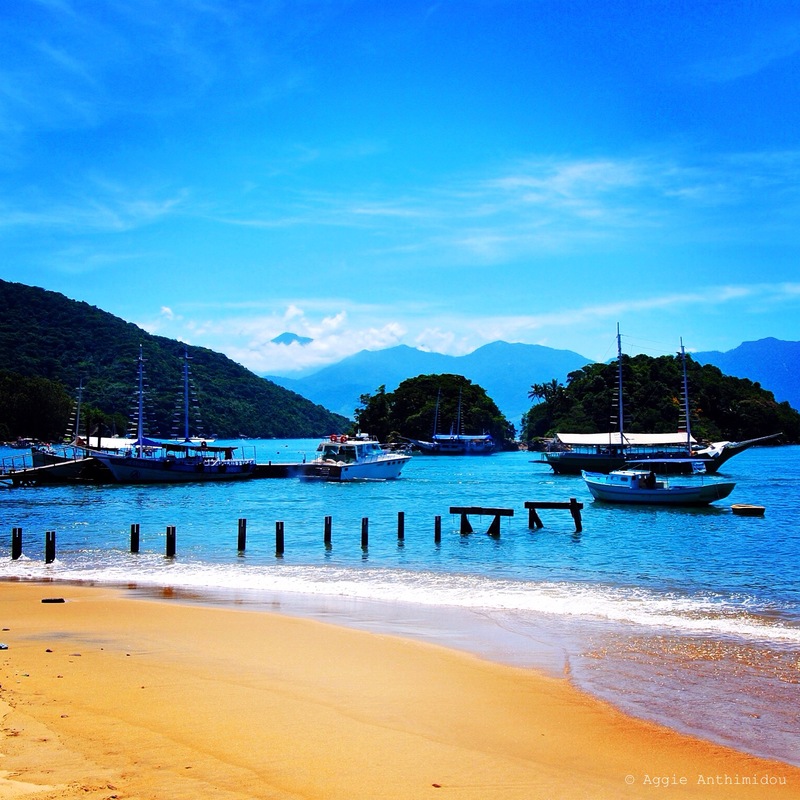 Ilha Grande is a tropical paradise, very close to Rio de Janeiro. It offers an exotic escape from the city buzz. On the island, a protected nature reserve, there are no roads and cars, no ATMS and most of the times no proper phone reception or internet access. You are truly remote, disconnected from the world’s noise; which hopefully it is a good thing and can help charge your energy back. I arrived on rainy, foggy day after a rather adventurous boat trip on choppy sea. The island was hidden behind the rain fog and I could only see the top of Pico do Papagaio (Ilha’s mountain). 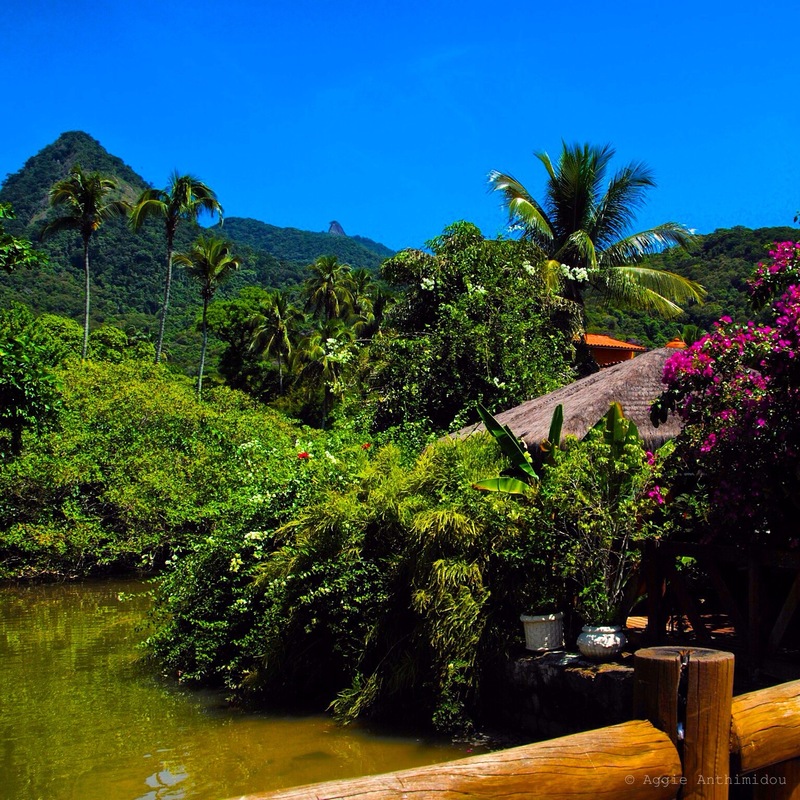 It was truly beautiful to fall asleep only listening to the various sounds of the rainforest in which Vila do Abraão is literally surrounded with. On the morning of my second day, with sun on its full glory Ilha Grande was a colourful paradise, I could not believe this was the same island I set foot on the previous night. This is a very special place, you are already lucky to be here. It is not a party island so if this is your goal it won’t happen, although if you are with a good group of people you can always create your own. How to get there: from Rodoviária Bus station in Rio take a bus to Angra dos Reis (2.5 hrs trip) and then a boat to Isla Grande (1 hr). When we got at Angra dos Reis, having just missed the mainstream option (the public ferry that is) we paid a local fisherman to make the cross to Ilha Grande. Do not do that. Apart from the obvious lack of safety, when the sea is rocky as it was on the day I travelled it is really a very bad choice. What to do: Relax. There are gorgeous beaches to visit. Lopes Mendes is the most beautiful beach on the island (and has also been voted by Vogue one of the most beautiful beaches in the world). A boat will take you from Vila to another beach (located on the other side of the island from where Lopes Mendes is) and from there is a 20 mins hike to Lopes Mendes beach which will make you appreciate your dive once you get there even more. Parnaioca, Praia do Aventureiro are other beach options while on the island. This is the place to have amazing, fresh sea food. Make sure you try the moqueca (fish stew originated from Bahia) at one of the sea side restaurants like Lua e Mar. Cafe do Mar on the beach is a great option for relaxing cocktails at sunset. If you definitely want to party then head to hostel Che Lagarto – which we randomly came across while we were there and enjoyed a lively party full of reggaeton music. The hostel enjoys one of the most beautiful locations I have ever seen, right on the beach with a beautiful veranda overlooking the water. There are regular parties been organised not limited to the hostel guests should you pay a small entry fee.